CHAMPAIGN, Ill. — Researchers report in a new study that the bacterium Helicobacter pylori – a major contributor to gastritis, ulcers and stomach cancer – resists the body's immune defenses by shutting down energy production within the cells of the stomach lining that serve as a barrier to infection. The new findings, reported in the journal Cell Microbe & Host, will aid efforts to better understand and combat H. pylori infections, the researchers said. "H. pylori infects and causes gastritis in half the world's population. 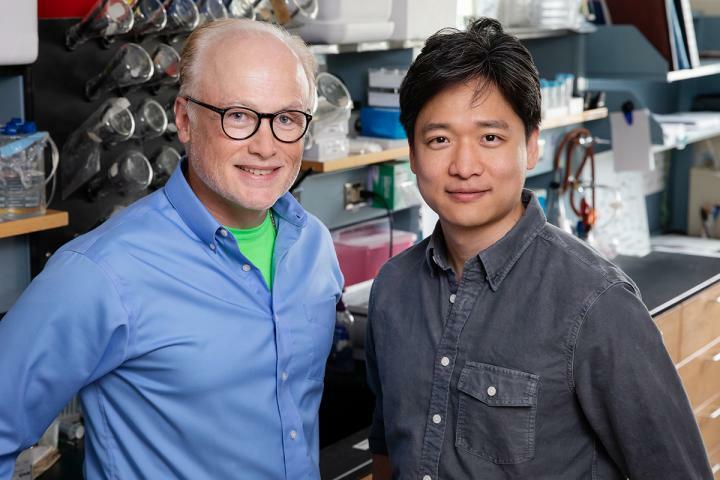 It is transmitted from person to person, usually during the first two years of life," said University of Illinois microbiology professor Steven Blanke, who led the new research. "Long-term infection can extend over decades, and most people never experience any symptoms of infection until the disease has progressed to an advanced state." The human stomach is the only known environment where H. pylori exists, Blanke said. "When any barrier in the human body is colonized by a pathogen, the immune system sets off a series of predictable counterattacks to reclaim the infected space," he said. "H. pylori cripples these immune counterattacks by going straight to the source of a host cell's power to shut down energy production." Using stomach cells and tissues, the team found that H. pylori manipulates the cell from the outside by sending in a toxin to directly target the mitochondria, which serves as the powerhouse where the cell's energy is produced. "The toxin disables the mitochondria, resulting in a loss of energy production," Blanke said. "When the cell tries to compensate by reallocating resources from other parts of the cell, a signal is triggered directing the cell to stop production and start breaking things down." Disabled but still alive, the cell eventually loses its ability to fend off infection. "The results of these studies provide an important example of how pathogens effectively target host metabolism in an effort to establish an enduring foothold within the host," Blanke said. The paper "Helicobacter pylori infection modulates host cell metabolism through VacA-dependent inhibition of mTORC1" is available online.